Charter Inn and Suites Tulare is located in the heart of the San Joaquin Valley midway between Los Angeles and San Francisco. In-room amenities include oversize tub/shower, refrigerator, microwave, coffeemaker, iron and board, hairdryer, bathrobes, cable tv and pay-per-view movies. Hotel common areas include a great room, fitness center, business center, wine and beer bar, 2 meeting rooms and an outdoor pool and spa. 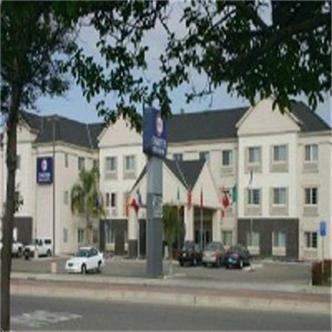 Complimentary services include daily hot buffet breakfast wireless internet. Charter Inn and Suites Tulare is one hour from the entrances to King's Canyon and Sequoia National Parks. In addition to being within walking distance of the Horizon Outlet Mall and other regional shopping centers, the hotel is just minutes away from Land O' Lakes, Haagen Dazs, Edision, Agtac and the world Ag Expo and Museum, thus making Charter Inn and Suites Tulare a perfect choice for both business and leisure travelers.